Get Ready To Sell! Sizzling hot spring market for sellers who create the right product for market. When Walt Disney Designed the Perfect Town Was Melrose His Inspiration? April sales of combined condo and single-family homes in massachusetts decreased -13.9% year-over-year. Inventory remains down -32.7% and the number of days on market is also down -28%. Median sale prices remain up +4% while pending sales are up +3.8%. 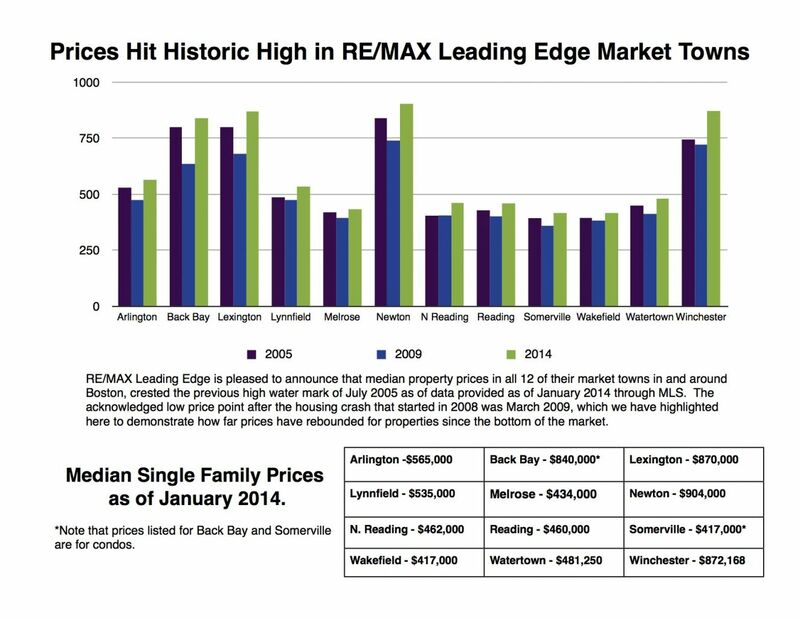 Homeowners in and around the market that RE/MAX Leading Edge calls home, Boston and surrounding towns, will be thrilled to hear that home prices have reached an historic high. Yes, your home is most likely worth more than it was at the height of the market, which we have identified as July, 2005 locally. According to MLS data, the median sale price of single family homes in our market area are worth more as of January, 2014 than they were at the high point of the market almost 9 years ago. Home prices dipped to their lowest point in March of 2009 after the financial crisis (stock market crash and housing decline), which began a serious downward spiral in October, 2008. The good news for folks who will be selling is that if they have improved or maintained their property condition, they will likely fetch more money now than ever before in the history of real estate. What’s driving home prices? A strong local economy, consumer confidence, low interest rates and sparse inventory combine to push prices for Sellers. Folks who bought in 2003, 2004, 2005 and 2006 who were feeling “stuck” in their houses because they could not sell their home without bringing money to the closing table are in the best position they’ve been in since they bought their home. But good news for Sellers is always bad news for Buyers who have been left frustrated in this market which often sees multiple offers on properties leaving some Buyers, well homeless so to speak. 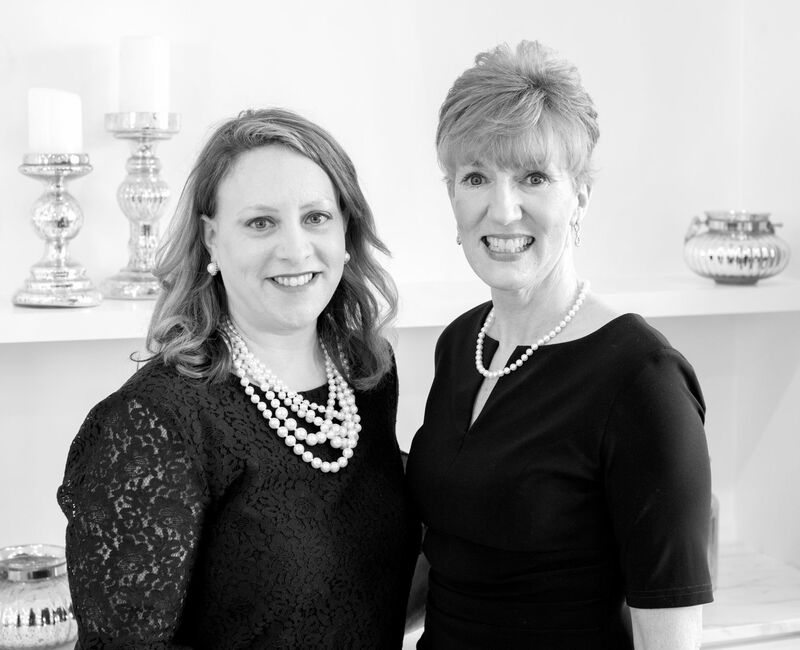 For Sellers looking to maximize their sale price, or Buyers seeking good strategies on how to operate in this market, RE/MAX Leading Edge has 175 agents who cover Eastern Massachusetts and New Hampshire who can guide you at the highest level. The following post was written by Linda O'Konieweski and Printed in the March 22-28, 2013 publication of the New England Real Estate Journal.